Let us proceed on how to make your Windows 7 computer speak the current date and time on every start up. Update : Please scroll down to the comments section and do a minute modification collected with literately huge effort by our reader Johnathan Martinez. Save the file as Speaking Clock.vbs for the example above and do not forget to change the file type from text to All files from drop down menu in Notepad before saving it. Obviously, you can save with any name you like. The red texts are what the computer will speak. For example, you can change the greetings from “Welcome back” to anything you like. Double clicking the file will speak as you want. We will place it in the Startup folder. Copy the VBS file you have created and paste there. You must be logged on as Admin. A security prompt will come, just accept it. Just restart your Windows 7 computer and you will hear your computer will speak the things you defined in the script. To disable it, just delete the file from startup folder. As usually the required file for your computer to speak is here for your download. This Article Has Been Shared 1366 Times! That is a big problem of MS forums. Do you know any programmers or anyone that could look into that and figure out why its reading it in 24hr format even though i have computer set to 12hr? for any forum. There are some old peoples who have quite good grasp on VB (I unfortunately only saw some post, do know anyone). Other way is to post in StackExchange as question. Possibly you’ll find the person who will correct it. Ahh…thats great Johnathan :) Thank you so much for visiting back and providing the feedback. You are welcome for next visit, the input and corrections by the readers are very important. You can have a look at all the right click tricks in this article. I get an error message on start up 800oa 801 (or something)?? I don’t think my pc will let me log in as admin, even though it is my pc and I am the only user, but I did not get a prompt box asking. If anyone knows how to fix this, I would appreciate, as to have the date announced would be useful.? Why your PC will not allow to login as Admin? I have no idea, only sometimes, it will not let me do things like save a program (now called apps i believe) in the program folder, I have to save them in downloads folder in documents. I asked dell about this, new pc and all, and the guy said, it is just too dangerous, if I have access. 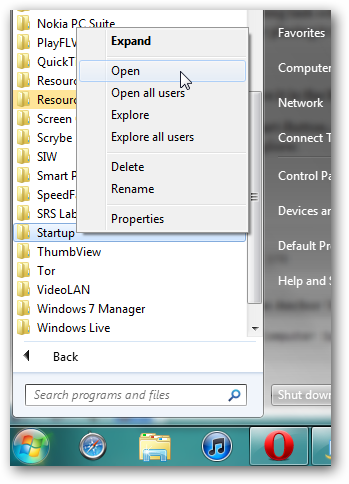 Cite this article as: Abhishek Ghosh, "Let your Computer Speak current time and date on startup," in The Customize Windows, June 11, 2011, April 18, 2019, https://thecustomizewindows.com/2011/06/let-your-computer-speak-current-time-and-date-on-startup/.